The intelli.asia Group is led by an experienced management team with more than 40 years working in and with not-for-profit or volunteer-based organisations. June Tan has more than 25 years of experience in law, training and continuing professional development, association management and governance. She has worked in a broad spectrum of industries and in both private and public sector, including in professional services, legal practice, information technology, venture capital and franchising. As a practising lawyer and corporate counsel for more than 10 years, June has cross-border transactional and management experience in Asia, Europe and USA. She also has 15 years of experience in corporate governance and not-for-profit governance. She was most recently Managing Director of the Stewardship and Corporate Governance Centre, a wholly-owned subsidiary of Temasek with the mission of fostering effective stewardship and thought leadership in corporate governance. In 2005, June founded Intellitrain Pte Ltd, a Singapore-based, Asia-focused association governance and management company which she headed as its CEO for 7 years, contributing to the growth in profitability, size, reach and visibility of its clients including professional bodies, not-for-profit organisations. She served as the equivalent of Executive Director for various clients, managing their training and professional development programmes, handling general meetings and council/board/committee meetings, developing policies and procedures, spearheading and implementing projects and initiatives in branding, communications, membership and strategic relations. Prior to setting up Intellitrain, June served as the Director, Training & Continuing Professional Development of The Law Society of Singapore, the national regulatory and representative body for all practising lawyers in Singapore. In this capacity, she took charge of training, professional development, curriculum and programme planning and development for the Singapore legal profession. 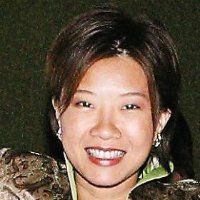 In her legal career, June has headed the legal departments of Infocomm Development Authority of Singapore, a statutory board of the Singapore Government responsible for national information technology and telecommunications policy and implementation, as well as 3at various companies within the Singapore Technologies Group. June holds a LLB (Honors) degree and a Joint Masters Degree (MBA/LLM) from the National University of Singapore. She is currently a member of the Australian Institute of Company Directors, Singapore Institute of Directors, Singapore Academy of Law and Singapore Corporate Counsel Association. She is an alumnus of the Stanford Graduate School of Business “Directors’ Consortium” programme (March 2013). She has also completed the International Business Fellowship Executive Programme (Mandarin) in Zhengzhou and Beijing organised by the Singapore Chinese Chamber of Commerce & Industry and IE Singapore (2012), and was awarded the “International Business Fellowship Executive Programme” Certificate of Completion by Beijing University. Gabriel brings with him more than 13 years of experience in the banking industry as well as 15 years working in and with non-profit organisations. He brings with him an in-depth understanding of the banking sector having worked with both European and Asian banks. Further, Gabriel has extensive experience in working with the non-profit sector having been involved in marketing, fund-raising, volunteer management and event management efforts with various VWOs and charitable organisations/initiatives including Club Rainbow Singapore, Children’s Cancer Foundation, Jurong Health Connect as well as with the President’s Challenge. He has spearheaded and organised charity efforts through charity dinners, food and funfairs, car rallies, auctions, wine-tastings, and even teddy bear adoptions. Gabriel has conducted induction and training programmes and worked with hundreds of volunteers from all walks of life. His forte is in event planning and management. In the last 20 years, he has conceptualised, planned and implemented events ranging from school camps, to Family Days, charity events, offsite experiential training programmes, visits by members of Parliament and Ministers and government officials, as well as conferences, workshops and seminars. In his previous position as Head of Programmes of a special school, he put in place a comprehensive screening recruitment, induction and strategic deployment programme for teachers. Gabriel was part of the school management team which put together a proposal to the Executive Committee to restructure the school’s management structure, systems and processes. As Head of the Training & Development Work Team, he was also instrumental in training needs analysis, gap identification and development of a comprehensive training plan for the school’s teachers and teaching assistants in areas ranging from domain teaching expertise to management skills to personal development. Gabriel has received special commendations from the Ministry of Community Development Youth & Sports for his contributions to the Community and Social Services Career Fair 2003 and from the National Council of Social Services for his role in facilitating student ambassadors for a Community Chest poster campaign (2002). Copyright © 2013-2018 Intelli.Asia Group. All Rights Reserved.